One of the tasks of our company is to help people create a cozy interior of establishments. On the site you can get acquainted with the full catalog of products, and also buy vases floor, which are simply indispensable in the arrangement of premises. 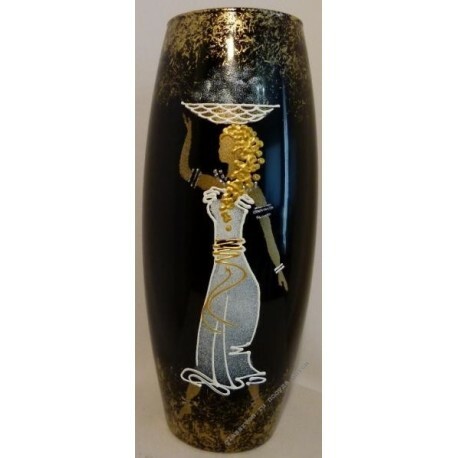 A sample of the "Ethiopka" vase made in the technique of art painting on painted glass will become a bright accent of your establishment. 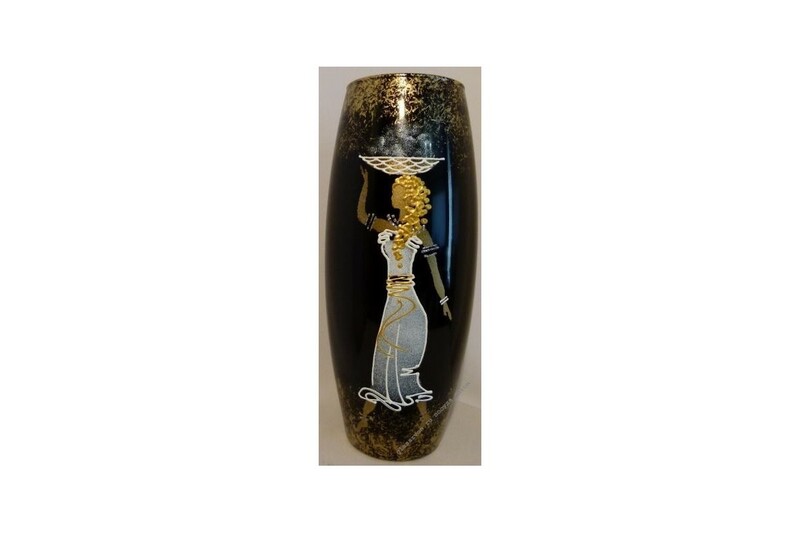 It not only brings a touch of extravagance, but also becomes an excellent frame for any floral arrangement, which allows you to carry out a dark color scheme of the vase.